No, I’m not writing about several people getting together in a wood shop to chat and make single-seat furniture. How can I decide the (correspondence-theory) truth of the simple theory “there is a chair that I sit upon as I write this”, a statement I expect any competent theory of truth to evaluate as true? Under the correspondence theory of truth, my theory says (among other things) that there is some single thing having chair-ness and located directly under me. For simplicity, I will assume arguendo that there are eight pieces of wood: four roughly cylindrical pieces placed upright; three placed horizontally between some of the upright ones (physically connected to prevent movement); and one flat horizontal piece placed upon the upright ones, physically connected to them to prevent movement, and located directly below my bottom. I have to assume these things, and cannot take them as established facts, because this same argument I am making applies to them as well, recursively. Now, given the existence and mutual relationships of these eight pieces of wood, how can I tell that there is a real thing they make up that has the chair-ness property, instead of the eight pieces merely cooperating but not making a real whole? Recall that the correspondence theory of truth says that a theory is true if every thing that it says exists does actually exist, every thing it says doesn’t exist actually doesn’t exist, the relationships it says exist between things actually exist, and the relationships that it says don’t exist actually don’t exist. That argument almost screams for the following two rejoinders: the pieces of wood make up the chair, or, in other words, once you have the pieces wood in the correct configuration, the chair necessarily exists; and, it’s splitting hairs to wonder whether there is a chair that is distinguishable from the pieces of wood it consists of. But both rejoinders fail. The first rejoinder says that eight pieces of wood automatically become a single thing when they are arranged in a chair-like configuration; but that is a claim about the reality, which itself needs to be evaluated under the correspondence theory of truth, and we are back where we started (albeit with a much more difficult question). The second rejoinder says that it doesn’t matter whether there is an existent called “chair” that is separate from its constituent pieces of wood; but that’s either a misunderstanding of the correspondence theory (it most assuredly does matter to it whether a thing exists) or an expression of frustration about the whole problem, effectively a surrender that masquerades as a victory. As I mentioned in the original post, most scientists prefer to adopt a modeling appropach instead of the correspondence theory; the attitude is that we don’t care about whether a chair exists, because even if a chair does not exist, there still are the eight pieces of wood that carry my weight and we can pretend they make up a chair. Another way to say this is that a chair is a social construct. The concept of social construction seems to have begun from a 1966 book, The Social Construction of Reality by Peter L. Berger and Thomas Luckmann. I must confess right now that I haven’t yet finished the book. However, if I understand their central claim correctly, it’s this: a social institution is always originally created as a convenient (or sometimes even accidental) set of customs by people who find it useful, but as its original creators leave (usually by dying) and stewardship passes to a new generation who did not participate in its creation (and as stewardship is passed many times over generations), the institution becomes an inevitable part of reality as people perceive it; in this sense, Berger and Luckmann (I think) hold that social reality is a social construct. In the case of my chair, way back in the mist of prehistory, it presumably became a custom to arrange wood or other materials in configurations that supported a person’s weight. The generation that invented this practice probably just were glad to have places to sit. 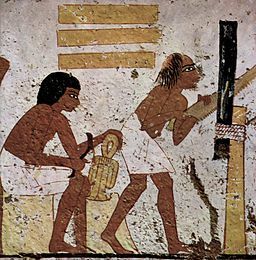 Their descendants, to the umpteenth generation, were each taught this skill; it became useful to refer to the skill not in terms of arranging materials but in terms of making things to sit on; further, some people never learned the skill but purchased the end result of another people’s skill; especially for these unskilled-in-wood-arrangement-for-sitting people, a chair was a real thing, and they often weren’t even aware that there were pieces of wood involved. I am one of those people: I had to specifically examine my chair in order to write the description in my quote. In a 1999 book, The Social Construction of What? , philosopher Ian Hacking looked back at the pile of literature that had grown over the three decades since Berger and Luckmann’s book, and tried to make sense of the whole buzzword “social construction”. This is another book I haven’t finished yet, but I have found those parts I have read very enlightening. No-one who has read scholarly literature in the so-called soft sciences can have missed the tremendous impact social constructionism has had on it, and it’s hard not to be aware that there is a large gulf between many hard scientists and social constructionists evoking strong feelings on both sides. A big theme in Hacking’s book is the examination of whether (and if so, in what sense) there is an actual incompatibility between something being a social construct and an objectively real thing. For me, however, it suffices to acknowledge that whether or not chairs exist in the objective world, they do indeed exist in the social world. Thus, once I have eight pieces of wood configured in a particular way, I indeed have a chair. Hacking points out, however, that claiming an idea (call it X) to be a social construct is conventionally taken to mean several possible claims. First, that someone bothers to claim X a social construct implies that X is generally taken to be an inevitable idea. Second, claiming X a social construct is tantamount to claiming that X is not, in fact, inevitable. Third, many writers also mean that X is a bad thing, and that the world would be a better place if X were changed or eliminated. He classifies social constructionist claims in six “grades”: historical, ironic, reformist, unmasking, rebellious, and revolutionary. Of these, reformist and unmasking are parallel grades, while in other respects the list is in increasing order of radicality. Historical and ironic constructionism merely claim that X seems inevitable but actually is not; they differ in their attitude to X. Reformist and unmasking constructionism add the claim that X is a bad thing but neither actively seek change; they differ in how they regard the possibility of change. Rebellious and revolutionary constructionism additionally call for and attempt to effect change, respectively. With respect to chairs, I am clearly an ironic social constructionist. I point out that we think chairs are inevitable but they, actually, are not; but I do not regard chairs as a bad thing. However, given current claims about the ill effects on health of sitting, I might eventually become even revolutionary.